Everyone wants to pass their driving test as soon as possible. So, naturally, a common question learners ask is – how many lessons will I actually need before I can take my test? The answer is not a simple one. The DSA (Driving Standards Agency) recommends that you have at least 44 hours of professional driving lessons before you put in for your driving test. Remember, however, that this is just an average suggested figure. You may need more, you may need less – it depends on you. What factors impact the number of lessons I’ll require? There are many things you have to consider, all of which will have an impact on the number of lessons that will be necessary before your instructor thinks you’re ready to take your test. Statistics show that younger drivers have been proven to need fewer lessons on average than older drivers. It’s suggested by the DSA that for every year you age, two hours are added onto the number of lessons that are recommended before you go for your test, so start early. It stands to reason that the more often you drive, the quicker you’ll learn. You should be aiming for between two and four hours of professional driving lessons each week, to ensure continuity of what you’re learning. Try and book two hour lessons as often as you can, to help learn faster. In addition to professional lessons, it’s recommended by the DSA that you have roughly twenty two hours of private lessons. Remember – anyone who takes you has to have a reasonable vehicle, be over twenty one years old, hold a full driving licence for more than three years, and display L plates. We all learn differently, and the way you learn can impact the number of lessons you need. Whether you’re a more visual/physical learner or theoretical learner – it’s important you find the right instructor for you. They need to be able to teach you in a way that you can understand quickly. Owning and running a car isn’t cheap, and nor is learning to drive one. Invest as much as you can comfortably afford into your lessons, to keep them as regular as possible. Enquire about block advanced bookings, as some driving schools offer cheaper rates. If you’re a student, you may be entitled to further discounts. Not all driving instructors are equal. It might take a few different tries before you find someone you really gel with – never just settle when it doesn’t feel right. Lessons are expensive, and getting your licence means you need to learn properly. Be prepared to be picky, and find the right instructor for you. It’s so important you take the time to find the right instructor for you. A professional, reliable, and experienced instructor will be able to give you the necessary guidance to make sure you continue learning in a consistent way – week after week. Keep an eye out for either a pink or green badge, which should be clearly displayed on their car. Green means they’re a fully qualified instructor, and have passed each of the three DVSA exams. Pink means they are not yet fully qualified, and are still undergoing training. A pink badge instructor isn’t necessarily worse. Their inexperience may make their lessons cheaper, and the fact they’re still learning may make them better inclined to help you learn. A driving instructor with a green badge who is bored and full of bad habits is never preferable to a pink badged instructor hungry to improve their skills. Many instructors offer what’s called an “assessment lesson” – which is often cheaper than a normal lesson. Think of it as a “getting to know you” session for both you and your instructor. They can determine your level of experience, and plan their proposed lesson plan accordingly. You can ask about their experience, and see if their teaching style matches the way you learn best. All driving instructors need good communication skills. 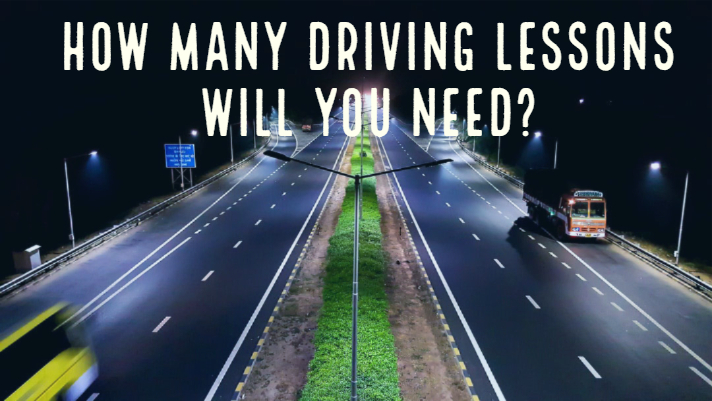 There is no defined answer as to how many driving lessons you’ll need – the only consistent thing to know is that you should never rush. Be patient enough to wait until you’re actually ready to be sure you pass your test.